BRPartners Immigration Advice & Services are proud to announced that we have been awarded the winners of the Acquisition International 2016 Global Mobility, Immigration & Logistics Awards for Best In Country Applications UK 2016. Our 2016 Global Mobility, Immigration and Logistics Awards are focused on the professionals who have performed at truly outstanding levels over the past 12 months. As with every one of our awards, the 2016 Global Mobility, Immigration and Logistics awards will be handed out purely on merit to those most deserving for exceptional service and performance over the past 12 months. Our dedicated awards judging and research teams have left no stone unturned as they strive to ensure that all winners can take pride in the knowledge that they have been selected among the best in their industry. BRPartners is a boutique, friendly Immigration practice based in Kent. We charge a fixed fee for all applications undertaken by our team of lawyers. Our staff have experience of working in all areas Immigration, Nationality, Points based system and Asylum Law. We are committed to providing a quality professional service, advice and assistance, in which you can trust. We remove the complication and uncertainty from your immigration applications, providing an end-to-end service in all aspects of immigration, points based, asylum and human rights law, from all types of visas and entry clearance applications to appeals against refusals from the Home Office. We provide representation in in country, entry clearance, asylum claims, human rights applications, administrative review, appeals against deportation and bail applications. All of our lawyers have years of experience in their chosen field, having previously worked for established and respectable organisations and private immigration practices. We are able to offer very competitive rates as our combined knowledge and experience enables us to operate at maximum efficiency and minimal cost. 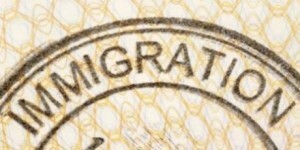 We can assist with applications for entry clearance from overseas as well as with extensions of stay/change of status from within the UK., work permit visas, student visa applications, all types of visa application under the Points Based System, naturalisation (citizenship), all types of EEA application, asylum claims (including fresh claims), human rights claims and applications for family reunion. We are experienced advocates and can prepare and present appeals against Home Office refusals of immigration and asylum applications before the First Tier Tribunal and Upper Tier Tribunal. This includes appeals against refusals of visas, EEA applications and appeals against deportation. We can also provide representation in applications for bail. The OISC is the regulatory body charged with ensuring that all immigration fee earners are qualified, registered and fulfil the requirements of client care and good practice. The OISC is committed to the elimination of unqualified or unscrupulous fee earners and has a fair and thorough system in place for the investigation of complaints against advisers. Since May 2001 it has been a criminal offence for a fee earner to provide immigration advice or services unless they or their organisation is registered with the OISC. Error: Error validating access token: Session has expired on Saturday, 22-Sep-18 06:40:30 PDT. The current time is Monday, 22-Apr-19 21:23:06 PDT.